New Delhi: State-owned Bharat Heavy Electricals Ltd (Bhel) is planning to triple export orders to Rs10,300 crore by 2012, in a bid to hedge against currency fluctuations related to raw material imports. “We are looking at project exports as it would help us hedge against raw material imports. We do not want to be a net importer," chairman and managing director K. Ravi Kumar said in a phone interview. 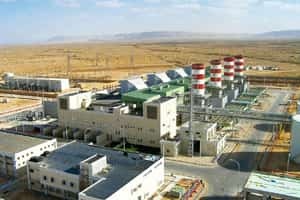 Overseas push: The Western Mountain Gas Turbine Power Project in Libya set up by Bhel on a turnkey basis. Bhel is pursuing orders in Uganda, Sierra Lone, Indonesia, Oman and New Caledonia, among others. However, the power generation equipment maker’s focus on exports also stems from a concern that its market share in India may come down to 50% from the current 60% in the next five years because of increasing competition from local and overseas companies. “Bhel’s monopoly is no longer there. Private-sector power generation equipment manufacturers have made huge strides at Bhel’s expense," said Madanagopal Ramu, an equity research analyst at Mumbai-based Centrum Broking Pvt. Ltd. “It needs to focus on exports." Bhel currently has orders worth Rs1.10 trillion. Its international projects contributed Rs3,200 crore till date to Rs24,000 crore worth of orders generated in the fiscal year that began in April. While organic growth is expected to contribute Rs6,200 crore to its order book by 2012, the remaining Rs4,100 crore will come from acquisitions and joint ventures. This is expected to go up to Rs8,000 crore each (through organic and inorganic growth) by 2017. “We plan to achieve this by increasing our focus on geographies such as Africa, Commonwealth of Independent States countries, West Asia, South-East Asia and Far East," said a company executive on condition of anonymity. Bhel is actively pursuing orders in Uganda, Sierra Lone, Indonesia, Oman, New Caledonia, Bhutan and Sri Lanka, among others. “These areas offer a huge growth opportunity. Compared with India’s installed power generation capacity of 145,000 MW, the entire installed capacity in Africa is 64,000 MW, the executive said. “This is a huge demand." The company has cash reserves of Rs8,000 crore. It posted a net profit of Rs2,859 crore on revenues of Rs21,401 crore in the fiscal year to March and aims to become a $10 billion (Rs49,000crore)-plus company by 2011-12. Bhel, which has manufacturing capacity of 10,000MW a year, plans to produce equipment capable of generating 56,000MW a year by 2012. “We are expecting a 35% growth this year. However, we will not be able to maintain such high levels of growth due to increasing number of entrants in the market," Ravi Kumar had earlier told Mint.